Lana Turner models a bike. 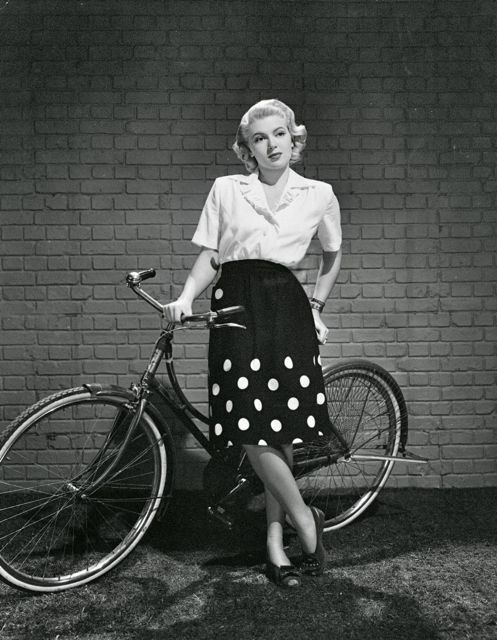 Lana Turner poses with bike, blouse and nifty polka dot skirt. Not exactly sure of the date of this photo, but guessing somewhere in 1944-1946 range, when Turner’s MGM titles included Marriage Is a Private Affair, Keep Your Powder Dry and The Postman Always Rings Twice.